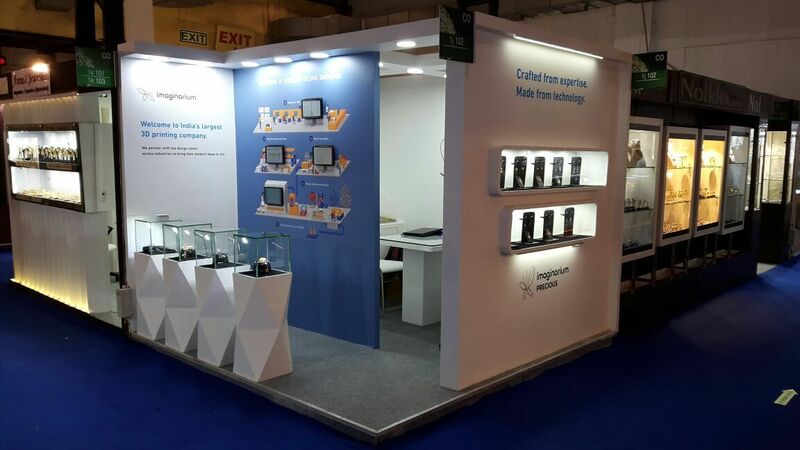 Imaginarium turned a lot of heads with it's unique blend of art and tech at jewellery industry's largest convention in the country, IIJS 2016. The recently concluded 33rd edition of the India International Jewellery Show in Mumbai was filled with elements of splendor and opulence, encouraging highest levels of craftsmanship and innovation in jewellery industry. The event showcased latest trends in a variety of jewellery verticals like loose diamonds, beads, plain gold, antique, couture, studded, conceptually-designed pieces, Manufacturing equipment and accessories, and many more. Introduced this year at IIJS was the Hall of Innovation, to empower budding designers and entrepreneurs market their contemporary designs. At Imaginarium, we were pleased to introduce an entirely new concept of inventory-less retailing and demonstrate ways in which one can benefit from this innovation. Our collection combined 3D printing with the art of enameling- a blend never seen before. The exhibitors had a great time interacting with the visitors talking about the range of services we offer, and how we are the ultimate platform for product development process. 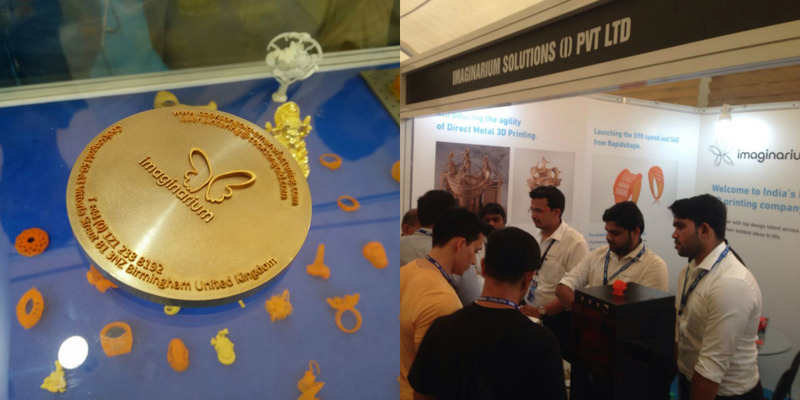 At the booth representing machinery we were glad to showcase a complete range of 3D printing solutions required for jewellery manufacturing. We demonstrated to the manufacturing community a brilliant array of production machines capable of producing high resolution RPTs at a greatly improved speed, and introduced Metal 3D printing for precious metals for the first time in India! Want to keep up to date with all latest news and information related to 3D Printing? Sign up to our mailing list.